Feature a keynote from Erick at your next engagement! 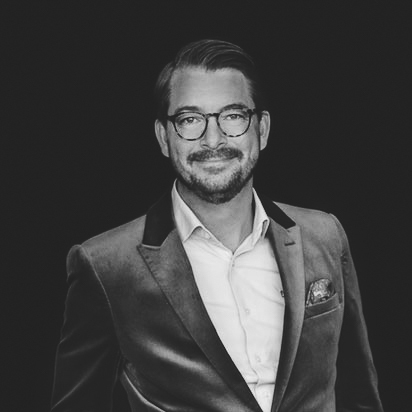 Erick Thürmer is a trailblazer in the world of digital and additive manufacturing and is known in the Danish media as “Mr. Disruption”. He has – through exponential and transformative leadership – revolutionized his family’s old-fashioned tool company, creating an inspirational and purpose-driven 3D business. Under Erick’s leadership, Thürmer Tools was awarded leading digital company in Denmark and granted €1.6 million to develop their 3D business, based on a 3D patent valued at €27 million by the Confederation of Danish Industry. The company is also part of the 2020 European Horizon Framework Programme. Erick is an alumnus of Singularity University and an appointed member of the Danish Disruption Council. With 20+ years of experience as a successful entrepreneur and business owner, Erick is specialized in traditional, international trade, new development industries and exponential technologies, bridging the gap between digitalization, business & humanity. He is also a sought-after keynote speaker, and has given more than 70 keynotes in 2018. Erick now focuses on guiding other companies and leaders in exponential transformation, leadership and business.